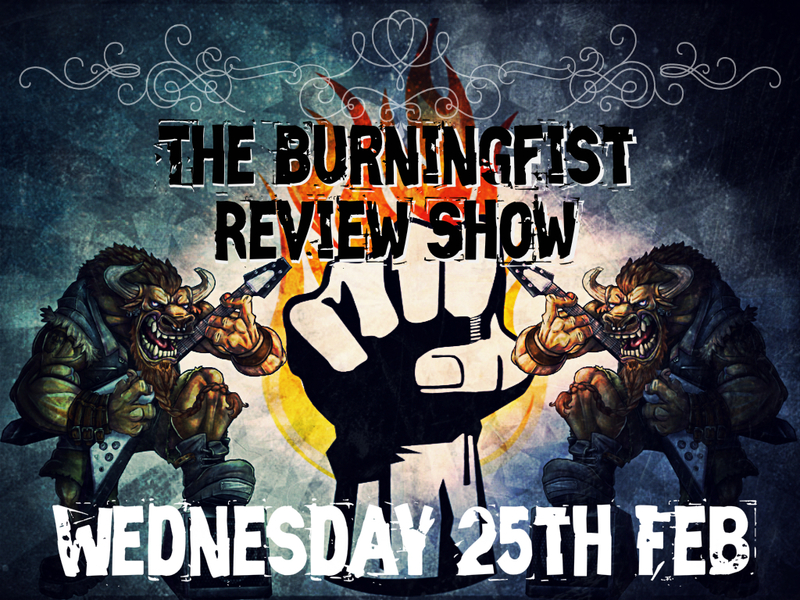 The BurningFist Review Show – Burning Fist! Aside • February 13, 2015 • Burning Fist! Midlands Metalheads have built up a reputation in bringing listeners quality broadcasts and are big supporters of up and coming metal bands, and so the BurningFist team are overjoyed to be in cahoots with the Birmingham based bad-asses! As you can imagine, BurningFist gets sent a huge amount of promos, and of which we can only cover so many on the site. But with the radio show we can cover so many more and include different genres. There will be exclusive reviews on both the site and the radio show to keep things fresh and entice you, as well as tons of awesome Metal music from throughout the ages. …and then EVERY Wednesday – we hope you can join us! Posted in Metal NewsTagged 25th, Black Metal, BurningFist, death metal, February, Hard Rock, metal, Metalheads, Midlands, Midlands Metalheads Radio, Only, Radio, Review, Review Show, rock, Traditional Metal, Wednesday, WeeklyBookmark the permalink.